COCKBURN’S most talked about roundabout is in line for remedial works. 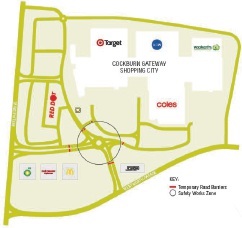 Cockburn Gateway Shopping City’s main access roundabout has dominated social media chatter since it was installed as part of the centre’s expansion in October 2014. To make the area safer for motorists and pedestrians, extra speed humps will be added this week to slow entering traffic, kerbs and the centre island will be widened, and improved signage and line markings installed. The roundabout will be closed from 6pm on Saturday, March 25, until 10am the following day while work takes place. Centre manager Ian McCosker said it was one of a number of initiatives to improve access into and around the shopping centre. “We’ve recently installed several external way-finder navigational signs around the site,” he said. “These navigational signs help customers to easily find the car- parks which are closest to the shops they wish to visit. 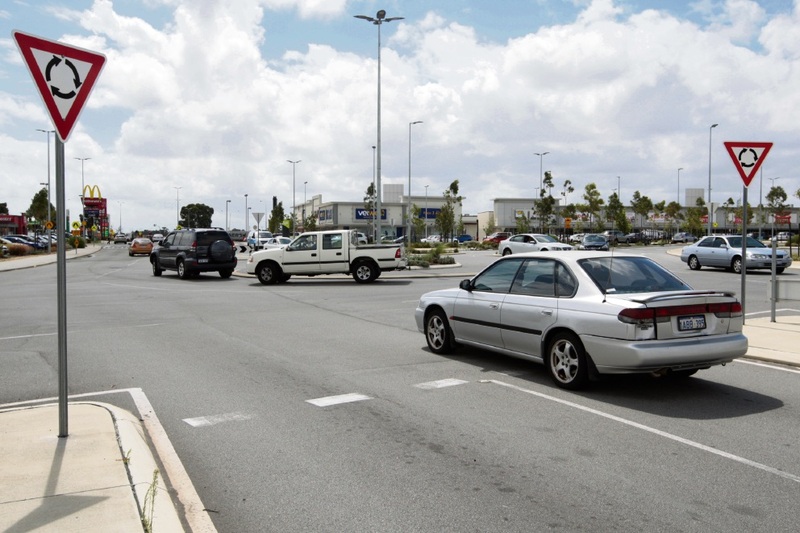 Cockburn Chat manager Lara Kirkwood said the Gateway roundabout was a popular topic of discussion for the Facebook group’s 18,500 followers. “I personally do not think I’ve read or heard more about a traffic icon as I have about this Cockburn Gateway roundabout,” she said. Ms Kirkwood was hopeful the changes would improve safety. “It is great that centre management at Gateways have finally taken the community’s feedback on board and have decided to do some remedial works,” she said.